Diving into the world of pay per click Internet advertising can be intimidating. In fact, it is so intimidating at times that some businesses are not making use of it at all. 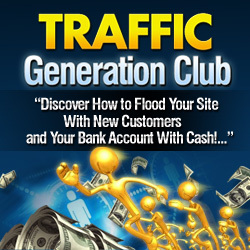 This is a mistake as it is one of the best ways to make money online and drive traffic to your business’ website. Clearing the cobwebs and learning as much as you can before getting started is a great way to reduce your intimidation. You might even find that this is one of the most FUN methods of advertising you have ever used. There are few other methods where you can set up an ad, choose keywords, and get targeted traffic coming in, in just a few minutes. After you’ve tweaked your campaign to be profitable, you’ll wonder why you hadn’t started pay per click sooner! Before you get started, there are some things to consider. Understanding these things will help to ensure you have a profitable campaign, and that you don’t lose as much money as you might have otherwise. In fact, you might find that even your first ad is profitable! First, choose good keywords. The way that people will find your advertisements is by searching for certain keywords. These search terms are things they’re interested in and they’re likely to click on the most relevant ad. Do your keyword research ahead of time and you should find the ones that will be your best bets. In addition to choosing good keywords, you should focus on the wording of your advertisement. You want to phrase things in a way that will weed out those the ad is not targeted to, and attract the people it is targeted to. One of the best ways to stand out is to include your targeted keyword one or more times in the ad. In fact, some marketers ensure that the key word is in each line of the ad, as it is highlighted by the search engine and can really make it stand out. Last but not least, you need to ensure that your landing page is highly relevant and targeted. Having a bad landing page can cause people to click away because you didn’t actually have what they’re looking for — or they couldn’t find it among the clutter. Tightly focusing your landing page to the key word is essential (instead of creating something that is more general and unhelpful). By doing these things, your pay per click Internet advertising should take your business to the next level. Learning as much as you can at these early stages is going to be important to ensure your success.